Back on December 2nd, I blogged about my running goals for the month of December. As we are getting to the end of the month, I thought I would take a look back at how I’ve been doing. First Goal: I am running the Dopey Challenge in January 2016 (48.6 miles over 4 days, which includes a marathon on January 10). So this month I have two 20 mile training runs in addition to quite a few back to back runs. My first goal is to stick to my training plan! Update: I am pleased to say I stuck with my training plan (especially the long runs) this month. As of December 30th, I only have 4 runs left before the Dopey Challenge, including 8 miles on Saturday. I’m in full taper mode! Second Goal: Currently, I have run 1070 miles for the year. My goal is to try to hit 1200 miles (an average of 100 miles per month) for 2015. Update: Yesterday’s run put me at 1201 miles for the year! I am very happy with an average of 100 miles per month, especially with some right knee issues this summer. Third Goal: I want to work more on my core. This is where I struggle the most during my longest runs. My goal is to do a 1 minute plank each day in addition to ab workouts. Update: I have been way more intentional with my ab workouts this month. While I didn’t get to the 1 minute plank each day, I did get 23 out of 30 days so far. Final Goal (non running): Since I started this blog a few weeks ago, I’ve been good about blogging 5-6 times week. My final goal is to continue to blog at least 3-4 times a week. Update: So far I’ve been updating the blog at least 3-4 times a week this month. I am very happy with it so far! Final thoughts…as we enter into 2016, I am excited to set more goals for myself. I hope to share a few with you all in a few days. I love celebrating Christmas with family! The last several days have been busy but so rewarding. To start, we spent Christmas Eve/Christmas Day with Rachel’s family. After going to the Christmas Eve church service at St. James UMC, we headed over to Rachel’s grandmother’s home for dinner with her family. It was good to catch up with all of them. Rachel’s grandfather passed away this summer, so I think it was really good for everyone to be together at some point over Christmas. We ended up spending the night with Rachel’s parents (they live about 45 minutes Northeast of us). The next morning, Rachel’s brother (Travis) and his wife (Erin) along with their grandmother came over and we spent the next several hours eating and opening presents. Rachel’s big present from me (MacBook Air)! Later that afternoon, we went to see the movie Joy. While I really enjoyed the director’s last 2 movies (American Hustle and Silver Linings Playbook), this one was just ok for me. Rachel liked it more than I did for sure. The next morning (after a 6 mile training run), we headed down to Auburn, Alabama to spend the day with my side of the family. We had a great time eating and opening presents with the family. (minus Will and co.) After dinner, we got back on the road to Atlanta. Got my dad a hat from Pebble Beach Golf Course for Christmas! My niece Sarah riding her new bike! Picture with 2 of my nieces and Dad! We stopped off at target in Auburn and ran into a former student of mine. We love Katie! The next morning Rachel and I got in a 12 mile training run (our last double digit run before the marathon). Then we spent the afternoon down at Ponce City Market in Downtown Atlanta. We had been wanting to get over there for several months now. We mainly just walked around the stores and food places while enjoying the crazy warmer temperatures for late December. The beltline runs right by PCM. Had to get a selfie! All in all, it was a great Christmas Holiday! Hard to believe we are less than 4 days from 2016! And less than 2 weeks from the WDW Marathon weekend! Merry Christmas Everyone! I hope you all have a wonderful day with family, friends and food! I love my family. I am very blessed to be a part of a large family who genuinely cares about each other. So when monumental moments happen in our lives, we all try to be there to support one another. Last weekend, my younger brother Will was getting his doctorate after many years of hard work and dedication. He would be receiving his Doctorate in Musical Arts in Church Music from New Orleans Baptist Theological Seminary. He is a music minister at a Baptist Church in Buford, GA (a suburb of Atlanta). So obviously with this amazing accomplishment Will would be receiving, I knew I would want to get down there to support him. However, since I was gone so much in November, I knew I would need to fly so I wouldn’t be gone for more than 2 days tops. It was a wonderful weekend. My Dad and his new girlfriend (Suzanne), my older brother Warren and my sister Julie along with her husband PJ all made the trip to support Will and his family. I got in early Friday afternoon and was able to walk around for a few hours before meeting up with the rest of the family. The next day, I got up early and headed down to the hotel gym for a nice and easy 5 mile run (training for a marathon never stops!). Later that morning we headed over to the Seminary for the graduation service. Most of Deanna’s family (Will’s wife) came down along with a few friends from the church Will works at. Needless to say…we had a huge “Will Cheering Section” upstairs in the balcony. It was a wonderful service and celebration for so many men and women receiving degrees, including quite a few masters and doctoral degrees. The amount of time, dedication and work Will put into this degree is amazing. He went through quite a bit during the years he was working on it. Between the loss of our mother, grandparents, Will’s father-in-law and nephew, I couldn’t be more proud of him. I know how proud our mother would have been of him as well. After the service, we headed over to a wonderful lunch celebration hosted by Deanna and her family. I caught a ride back to the airport mid-afternoon and flew back to Atlanta that evening. While it was a quick trip, it was such a meaningful time with my family. For our final long marathon training run, Allen asked me to write about my experience. Let me begin by saying I wasn’t convinced I could finish…. Mentally and physically I felt prepared. I had had a pretty good 20-mile run a few weeks before, so I was hoping the next step up would go smoothly as well. I packed up my Osprey Rev. 1.5 hydration pack, grabbed a couple of Clif and Huma gels and a pack of Extreme Sport Beans, and made our way to Cochran Shoals Trail. The goal was to run more than 20, as that was the mileage of our last long run. Neither of us felt we needed to go farther than 22, so anything slightly over 20 was going to work just fine. It started out chilly, in the upper 30s, so we were bundled up. By about mile 6, both of us had ditched our outer layer and gloves – luckily, the sun was out! The steady breeze coming off of the Chattahoochee River kept us cooled the entire time. We started off great, chatting and eventually listening to music. And then, out of nowhere – BAM! I hit a wall (as they say). Now, my biggest running ailment is my feet – running almost any distance causes my feet to swell, and thus they start to bother me after a while. This particular day, my right foot started aching in full force – a sensation like it was bruised on one side. About halfway through the run, my foot aching terribly and my knee (a new, fun pain from the previous long run) being bothersome, I thought I wouldn’t be able to finish. And thus with two 20+ mile runs under our belt, we’ll taper over the next couple of weekends, just in time for the race next month! 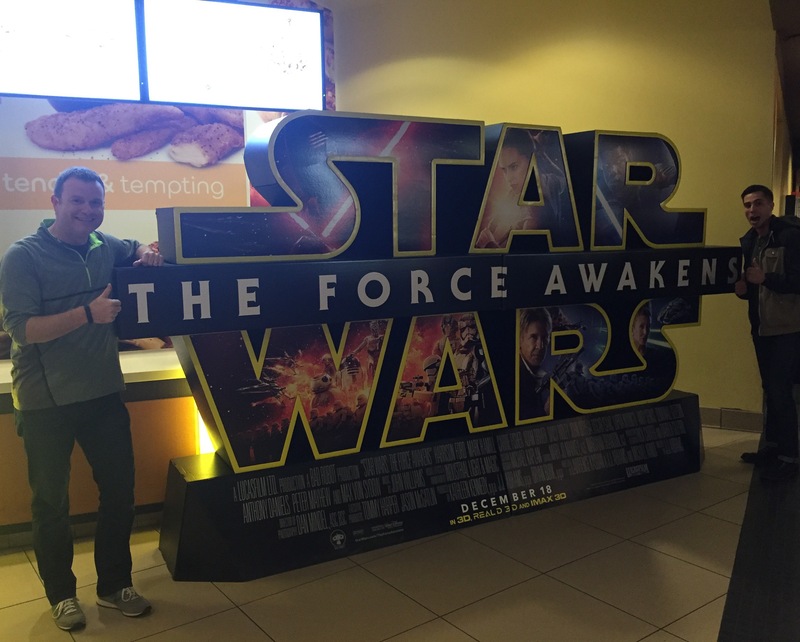 My friend Adam and I went to see Star Wars: The Force Awakens last night. It was wonderful. Go see it. That is all. As runners, we all have our own personal favorite running accessories. From shoes and socks to GPS watches and hydration packs, running can get expensive. But it’s so important to find what works for you, especially when you are getting to higher mileage. Shoes: I run in Nike Pegasus and Brooks Launch. I am more of a neutral runner, which these shoes are great for. Because I typically run 4-5 days a week, especially when training for a race, I like to rotate two different pairs of shoes during the week. One for shorter runs and another for longer runs. Also…I definitely wear out the life of my shoes within about 4 months, so I go through multiple pairs in a year. Watch: Garmin Forerunner 220. For the last several years, I ran with the Nike GPS watch. But I finally made the switch this spring to the Garmin and I love it. It’s much smaller and lighter. The battery life is better. And it does everything I need it to do. If you aren’t ready to spend money on a watch to track your run, there’s an app (actually, several) for that – two of my favorites are Nike+ Running and Map My Run. Clothing: I run in Dri-Fit/Tech shirts and running shorts. My personal favorites are Lululemon (their shorts and shirts are ridiculously amazing and super expensive), Under Armour, and Nike. Safety: I don’t carry my ID when I run. I especially don’t like to run with my phone, unless I’m going to be gone for a long time. So I use the Road ID (the Shoe ID). It has my name, 2 emergency contacts and any medical alerts I might need them to know. Hydration: When I’m running longer than 7-9 miles, I carry the Osprey Hydration Belt. I love it. It has two bottles and plenty of room to store fuel, sunglasses, hat, etc. I tried to use a hydration pack on my back, but just never felt comfortable with it. 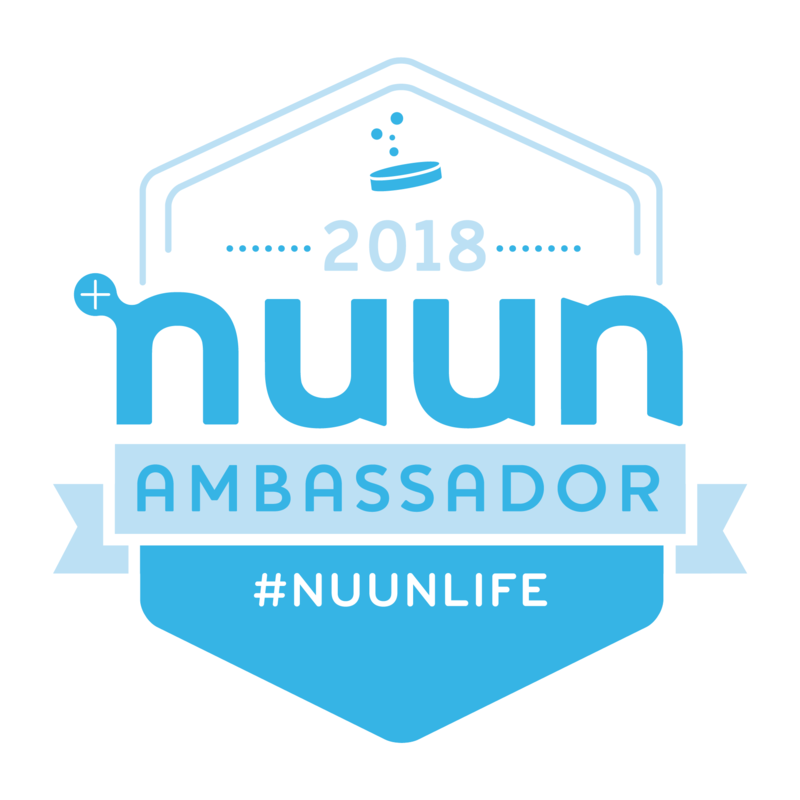 I carry water in one bottle and Nuun (for electrolytes) in the other bottle. Fuel: I use several different kinds of gels and chews. But I tend to yield to the PowerGels and Honey Stinger Organic Chews as they are lighter on my stomach. Few Other Things: Body Glide, Swiftwick socks, Raw Threads Clothing (Rachel’s favorite but I do love their shirts as well), iPod Shuffle, Suncloud Sunglasses and SPIbelt.